When looking at contemporary cities around the world today, one could easily conclude that they seem increasingly designed to accommodate the requirements and interests of powerful financial actors, over those of the citizens who inhabit them. As these faceless players encroach ever further onto a range of spaces – both physical and intangible – in the urban landscape, while ordinary people seem to be increasingly losing ground in their own neighbourhoods or being pushed out completely, what prospects are there for citizens to resist these dynamics? 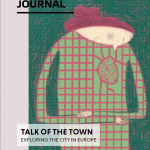 Green European Journal: You wrote The Global City in 1991, can you explain this concept? Saskia Sassen: The widespread notion in the 1980s that being in a specific place no longer mattered to economic sectors that could use digital technology spurred me to check out highly digitised economic sectors and led me to focus on the finance sector, the rising economic star after its deregulation, which allowed financial firms to enter all kinds of domains which they had been excluded from, from student debt to home mortgages. That turned out to be the first step towards conceptualising the global city function. It became an effort to detect a new, somewhat elusive formation deep inside major cities: a sort of vast, complex, and diverse operational platform that installed itself in what were the major economic centres in the 1980s – New York, London, and Tokyo. That function eventually included about 40 major cities as globalisation proceeded and incorporated more and more countries. My concept in its narrowest version was ‘the global city function,’ a sort of bridge that enabled entering the deep economy of a country. What also amused me was the notion that there was a combination of elements that might produce this ironic outcome: the fact that the most powerful, rich, and digitised economic actors needed urban land or ‘central places,’ perhaps more than ever before. Large corporate firms engaged in routinised production could locate themselves anywhere. But if they went global they needed access to a whole new mix of complex specialised services almost impossible to produce in-house, as had been the practice. A second hypothesis that was stronger than I expected was that this new economic logic, partial as it was, would generate high-level jobs and low-wage jobs; it would need far fewer middle-range jobs than traditional corporations. But those low-level jobs, whether in the office or in households, would matter more than one might imagine. I described these low-wage jobs in the advanced economic sectors, notably finance, as the work of maintaining a strategic infrastructure. How does the global city relate to globalisation? Standard economics does not capture the mix of dynamics that produced the global city function, nor does it capture the core dynamics of high-finance. Microeconomics and macroeconomics are at their best and most useful – or perhaps only useful function – when they deal with standardised economic sectors. One key hypothesis I arrived at early on in my research was that intermediation was an increasingly strategic and systemically necessary function for the global economy that took off in the 1980s. This in turn led me to generate the hypothesis about a need for specific types of spaces: spaces for the making of intermediate instruments and capabilities. One such strategic space concerned the instruments needed for outsourcing jobs, something I examined in my first book. But what began to emerge in the 1980s was on a completely different scale of complexity and diversity of economic sectors: it brought with it the making of a new type of city formation. I called it the ‘global city’ – an space for the production and/or implementation of very diverse and very complex intermediate capabilities. This did not refer to the whole city. I posited that the global city was a production function inserted in complex existing cities. This was a function that cast a vast shadow over a city’s larger space. In Europe there are more and more networks of cities and urban movements emerging and claiming a voice. Citizens express the will to ‘take back control’ and start new initiatives, such as energy cooperatives, repair cafés and fab labs. Can we be optimistic? This is a difficult one for me to answer. It needs to be focused on the specifics of cities and these vary enormously. I definitely would answer yes. But it will take work, and it will mean that residents must know their rights and what they can claim from local and national governments regarding changes in their city and/or their neighbourhood. At present, most citizens perhaps are not aware of the claims they can make – an interesting item in itself. This effort then needs to expand to the right to make claims in domains where there is currently no clear law or statutes, and also to go beyond this… There is work to be done on several fronts to achieve this citizens’ standing vis-à-vis the local government of a city. It is a battle worth fighting and a mode worth developing. What are the forces and/or actors that are really shaping cities in Europe today? Two very different forces seem dominant; they are also partly still emergent in that they are different from earlier urban logics in European cities. One is the ascendance of cities as major actors and concentrators of key economic and political trends. The significant cities do not necessarily need to be the biggest – Frankfurt is a powerful city even if much smaller than London or Paris. The rise of a strong economic function that, somewhat unexpectedly, turned out to need urban space has made a major difference, for good and for bad. Cities are once again becoming wealthmaking machines, a function they had lost when the dominant economic sectors were focused on infrastructure, building housing, the explosion of suburbs. The wealth making function has some positive effects (updating infrastructure and transport, generating jobs, and so on) but also serious problems. The vast majority of urban residents and urban economic functions tend to be modest and hence at risk of being destroyed by the new high-end functions. As I argue in my book Expulsions, a key dynamic in today’s Western economies is a range of expulsions of people, and other types of actors such as small firms, from the economic and social options they once had. My focus there is precisely on that point of expulsions – an edge that is foundationally different from the geographic border in the interstate system. The focus on the edge comes from one of the core hypotheses running through this book: that the move from Keynesianism to the global era of privatisations, deregulation, and open borders for some, entailed a switch from dynamics that brought people into ‘the system’ to dynamics that push people out. How do you see the future of cities and the whole discussion around ‘smart’ and ‘resilient’ cities? The discussion around smart, connected, and resilient cities is political, and it is also – or should be – central to the environmental question, as well as to social justice. One observation that I have researched in my work on global cities is that in our current period cities have become far more significant for geopolitics, the global economy, and social justice, than they were in the period dominated by Keynesian logics. In that earlier period much was under the governance of the state and the post-war rebuilding was under state management to a large extent. But when governments deregulate and privatise economic sectors once under direct management of the state, these managerial and regulatory functions do not disappear. They are transferred to private firms: they reappear as specialised financial, accounting, legal, advisory services for corporations. And these types of activities tend to be in cities, especially global cities, if they are complex because a firm’s market is global. And this is not always good. We need counterweights to this emergent power system that is urban-centred. And that means strengthening the status and capacity to make effective claims of the vast majority of a city’s population who have a modest income. None of this necessarily eliminates the ongoing role of the inter-state system and its multiple institutions. But in the long run it has made cities de facto, rather than de jure, key actors in national economies and in cross-border economic spaces, transcultural circuits, environmental struggles, social justice struggles, and so much more. The rise of a strong economic function that, somewhat unexpectedly, turned out to need urban space has made a major difference, for good and for bad. It matters in my analysis that besides the growing concentration of power in major cities, there is also the option – especially in larger cities that cannot be fully governed – of contesting power in ways that go beyond what we can claim from national governments. We the residents can re-make parts of the city in simple ways that we cannot do regarding the national state. 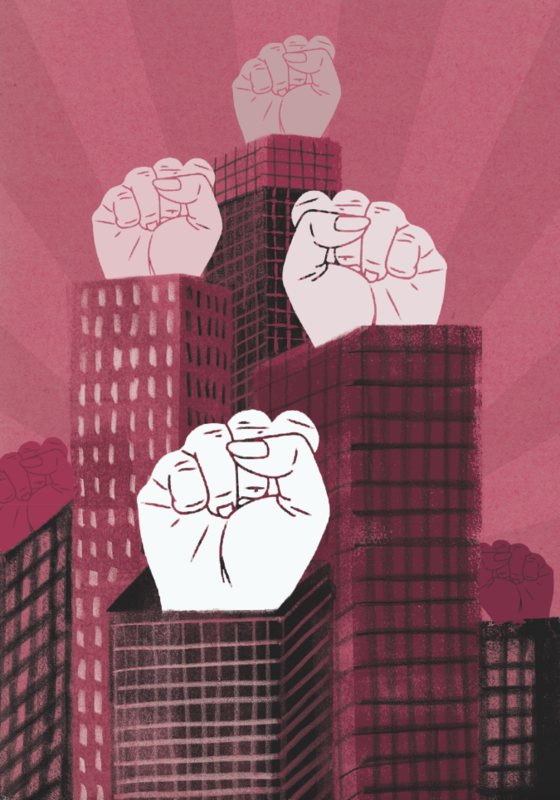 Are the urban movements in big cities not the feat of cosmopolitan, well-educated and connected elites who feel at home in Beijing, New York, Istanbul, and Berlin and share the same lifestyle – one increasingly distant from that of their actual rural neighbours? This is certainly part of the story. But I also see a new type of energy focused on neighbourhoods, with initiatives around greening, food plots, and re-localising production where possible. I will never forget that some of my brightest, really brilliant undergraduate students at the University of Chicago – considered the most intellectual university in the US – went into community work: localising production of food, generating local entertainment (notably music and circus), setting up coffee shops to avoid franchises, and much more. All of this is not going to change the major systems in the world, from high-finance to destructive mining. But it should be seen as a first step in mobilising our energies towards more social justice, environmental protection, people-centered activities, and so on. A politics of place that recurs in city after city and can thereby have potentially vast effects on key urban functions – from political to economic. Can we equate the city with the migrant today? Is the city the result of all those ‘thick’ cultures coming in and spreading into what we’d call today ‘cosmopolitanism’ (although the roots of the word are somewhat different)? You said it! Yes, I think so, but cities are also the battlefield – it gets messy. I argue this a bit in my work on cities as containing today’s frontier. I think we are witnessing the making of a third type of migrant subject – neither the familiar immigrant nor the refugee. The historic frontier was at the edges of empire – those spaces that we had not quite gained control over. But, in my reading, major actors, from U.S. and European to Chinese major sectors, have now succeeded in gaining access to most land in the world and can then engage in their extractive practices.